John Ernest Joseph Bellocq (1873–1949) was an American professional photographer who worked in New Orleans during the early 20th century. 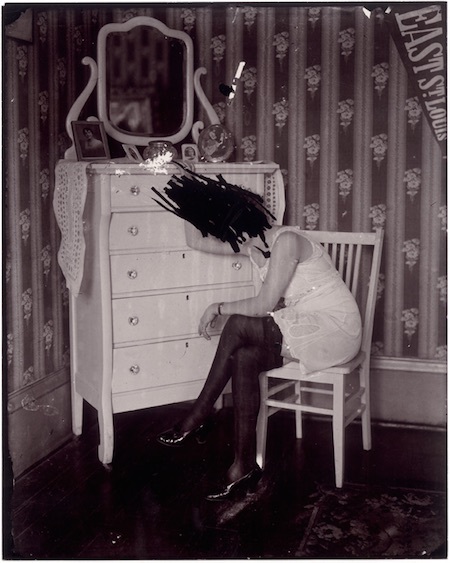 Bellocq is remembered for his haunting photographs of the prostitutes of Storyville, New Orleans’ legalized red-light district. These have inspired novels, poems and films. Bellocq was born into a wealthy French family in the French Quarter of New Orleans. He became known locally as an amateur photographer before setting himself up as a professional, making his living mostly by taking photographic records of landmarks and of ships and machinery for local companies. 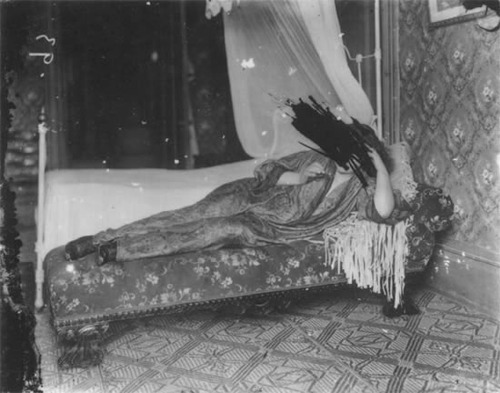 However, he also took personal photographs of the hidden side of local life, notably the opium dens in Chinatown and the prostitutes of Storyville. These were only known to a small number of his acquaintances. In the latter part of his life, he lived alone and acquired a reputation for eccentricity and unfriendliness. According to acquaintances from that period, he showed little interest in anything other than photography. In his early days, he had been something of a dandy. Bellocq died in 1949, and was buried in Saint Louis Cemetery in New Orleans. After his death, most of his negatives and prints were destroyed. However, the Storyville negatives were later found. After many years, they were purchased by a young photographer, Lee Friedlander. In 1970, a show of Friedlander’s posthumous prints on gold tone printing out paper from Bellocq’s 8″ x 10″ glass negatives were mounted by curator John Szarkowski at the Museum of Modern Art in Manhattan. A selection of the photographs were also published concurrently in the book, Storyville Portraits. These photographs were immediately acclaimed for their unique poignancy and beauty. 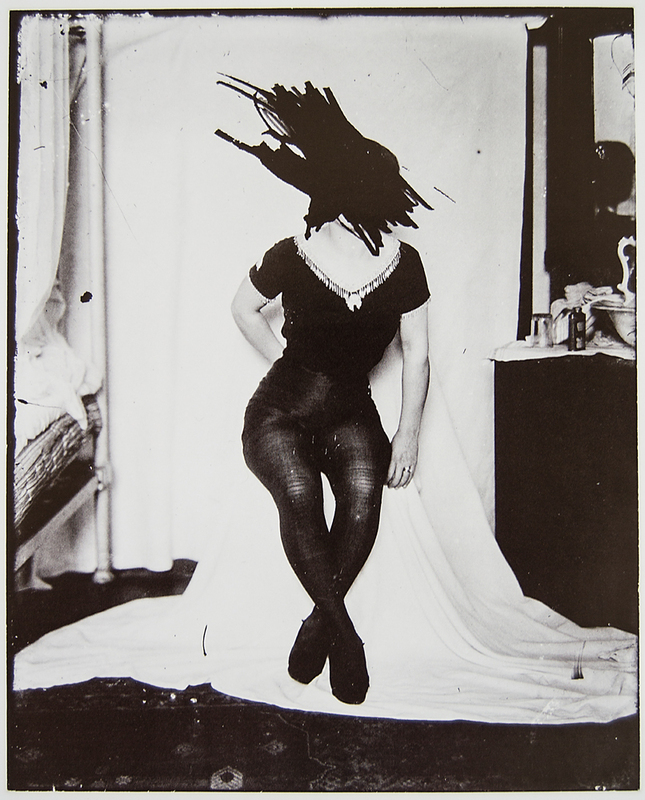 A more extensive collection of Friedlander’s prints, entitled Bellocq: Photographs from Storyville, was published with an introduction by Susan Sontag in 1996. Enjoy these photos, I have spent a lot of time browsing for the best quality and largest formats.